There are many ways to keep your home and office cool without air conditioning, but they don’t always work, like opening up the windows and doors to allow air to flow throughout the house. But, when summer begins and the temperature starts soaring, open windows and doors actually let hot air inside, increasing the temperature in the house. Cooling a home becomes a critical requirement during the heat of the day. This is true of homes with young children, and most people prefer to use air conditioner day in and day out to keep their houses cool, which can get expensive. So, in an effort to save money off utility bills, families look for ways to save energy, whenever possible. 1. Because it gets cooler at night, especially after midnight, most people still keep their air conditioners operating at the same temperature settings as during the day. Lowering the temperature setting at night, or even switching to the fan if possible, is an excellent way to lower energy consumption. Utilising an air conditioner’s fan more often to conserve energy just makes sense. In fact, older AC units actually consume up to 25 times more power when they operate without the fan on the highest settings. 2. Has your air conditioning unit been serviced on a regular basis? Even after a few months of constant use, dirty filters can restrict its function, causing it to work harder and that will consume more power than usual. 3. Choosing the right kind of AC is important to save the most power, and for homes with older AC models that do not circulate air throughout the home efficiently, a new split system air conditioner could be the best solution. While these simple air conditioning energy saving tips for home are known by most people; honestly, many don’t diligently follow them. However, there is an easier way; Daikin Air Conditioners have advanced control systems and are more energy-efficient, more reliable and quieter than older air conditioners, making them the ideal solution to home energy-saving concerns. 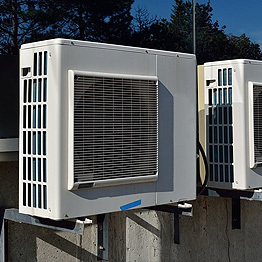 Here at Bay Air Electrical & Air Conditioning, we have the solutions to cool residential and commercial buildings of all sizes, and we specialise in the installation and removal of new and old cooling systems. For more information, or a free, no obligation service quote, you can contact us today.